American historian and educator, born in Willington, Tolland county, Connecticut, on the 10th of May 1789. He studied in the common schools, worked for a time at the carpenter's trade, and then became a schoolteacher. 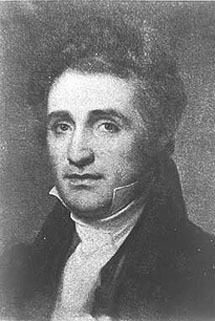 In 1809-11 he attended Phillips Exeter Academy, where he met John G. Palfrey and George Bancroft, two schoolmates, who became his lifelong friends. He graduated at Harvard (A.B.,in 1815 and A.M. in 1818); taught in a private school at Lancaster, Massachusetts, in 1815-17; and studied theology and was college tutor in mathematics and natural philosophy at Harvard in 1817-19. In 1817-18 he was acting editor of the North American Review. He was pastor of the First Independent Church (Unitarian) of Baltimore, Maryland, in 1819-23, Dr. William Ellery Channing delivering at his ordination his famous discourse on Unitarian Christianity. During this period Sparks founded the Unitarian Miscellany and Christian Monitor (1821), a monthly, and edited its first three volumes; he was chaplain of the national House of Representatives in 1821-23; and he contributed to the National Intelligencer and other periodicals. In 1823 his health failed and he withdrew from the ministry. Removing to Boston, he bought and edited in 1824-30 the North American Review, contributing to it about fifty articles. He founded and edited, in 1830 the American Almanac and Repository of Useful Knowledge, which was continued by others and long remained a popular annual. After extensive researches at home and (1828-29) in London and Paris, he published the Life and Writings of George Washington in twelve volumes, his most important work; and in 1839 he published separately the Life of George Washington, an abridged version in two volumes. The work was for the most part favorably received, but Sparks was severely criticized by Lord Mahon (in the sixth volume of his History of England) and others for altering the text of some of Washingtons writings. Sparks defended his methods in A Reply to the Strictures of Lord Mahon and Others (1852). The charges were not wholly justifiable, and later Lord Mahon (Stanhope) modified them. While continuing his studies of the American Revolutionary War abroad, in 1840-41 Sparks discovered in the French archives the "red-line map", which, in 1842, came into international prominence in connection with the dispute over the northeastern boundary of the United States. In 1842 he delivered twelve lectures on American history before the Lowell Institute in Boston, In 1839-49 he was McLean professor of ancient and modern history at Harvard. His appointment to this position, says his biographer, was the first academic encouragement of American history, and of original historical research in the American field. In 1849 Sparks succeeded Edward Everett as president of Harvard. He retired in 1853 on account of failing health, and devoted the rest of his life to his private studies. For several years he was a member of the Massachusetts board of education. He died on the 14th of March 1866, in Cambridge, Mass. His valuable collection of manuscripts and papers went to Harvard; and his private library and his maps were purchased by Cornell University. He was a pioneer in collecting, on a large scale, documentary material on American history, and in this and in other ways rendered valuable services to historical scholarship in the United States, although history has judged unfavorably his deliberate omissions and embellishments.